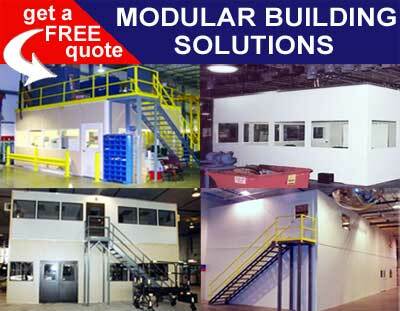 If you are looking to expand your business, and want a quick solution to the problem of gaining more space, then purchasing pre manufactured prefabricated buildings for installation alongside the rest of your premises will offer you the perfect opportunity to gain space at a relatively low cost, and also avoid the extensive waiting period that is involved in regular construction projects. With manufactured prefabricated buildings, you are able to avoid the lengthy process of hiring an architect and going through the whole design process. Instead, you are simply able to order the exact floor space that you need, and take advantage of the experienced staff at Easy Rack, who can advise you on the exact systems that you need to meet your needs. Then, once you have chosen the system that you need for your business, you can simply order it, and it will be delivered ready to be built. The building will arrive in the form of a kit of fully finished components that simply need to be fitted together in order to provide new accommodation in a fraction of the time taken to build a similar sized office using traditional techniques. With manufactured prefabricated buildings such as those provided by Easy Rack, the main advantage is that the systems are completely modular. The various components can fit together in a number of different ways in order to provide you with the exact system that you need, and then, if your requirements change over time, alterations can be made simply and in a cost effective manner. Modular construction provides you with the most flexible office space possible, and will allow you to grow at your own pace without having to worry about the headaches of obtaining more space in the long run. As your business needs change over time, you will be able to add more space, break down the existing office into smaller areas, repurpose space for meeting rooms, and even build additional stories on top of your existing office simply by ordering the required components from your supplier, and then making the necessary changes to your building. Couple this flexibility of manufactured prefabricated buildings with the fact that the construction process is so much cleaner than traditional methods, and you get accommodation that is ready much faster, and without any of the negative aspects of building such as the immense amounts of dirt, dust and other waste that the process creates. You simply need to put the various components together, and your new building is ready to furnish – the manufactured prefabricated buildings available from Easy Rack even come fully painted to a professional standard to fit in with the color schemes of the rest of your buildings. One of the main advantages of manufactured prefabricated buildings comes in the form of the fantastic tax benefits that you get from them. Rather than depreciating over a period of 39 years as traditionally constructed buildings do, modular buildings depreciate over a 7 year period, which means that you get a big annual benefit to your company’s tax bill to reflect the ongoing cost of the buildings. One of the most obvious advantages of installing prefabricated office buildings rather than choosing a conventional building technique is that the structure can be supplied in a more or less complete state. One key area of prefabricated modular shelter design that needs to be considered above all others is the kind of weather that the shelter must withstand. 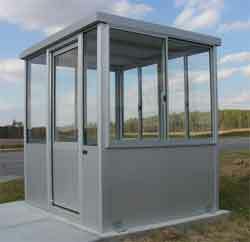 The main thing that needs to be incorporated into the design of a school bus stop shelter is the size necessary to provide proper shelter to a large number of people at one time. 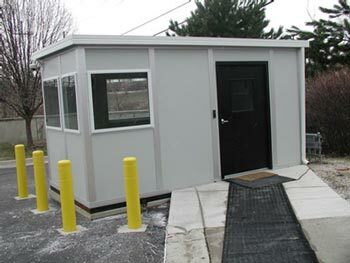 One of the most common uses for a prefabricated shelter is as a security shack. By providing a number of shelters around your workplace, you give your guards a place to wait when they are making their rounds at night. Preassembled Buildings. The main advantage of pre-assembled buildings from an operational point of view is that they are ready so quickly. Prefabricated Buildings. One of the main reasons for there being such a change in the perception of prefab buildings is due to the fact that the materials that are now used in the construction and structure of them has been massively changed over the years.